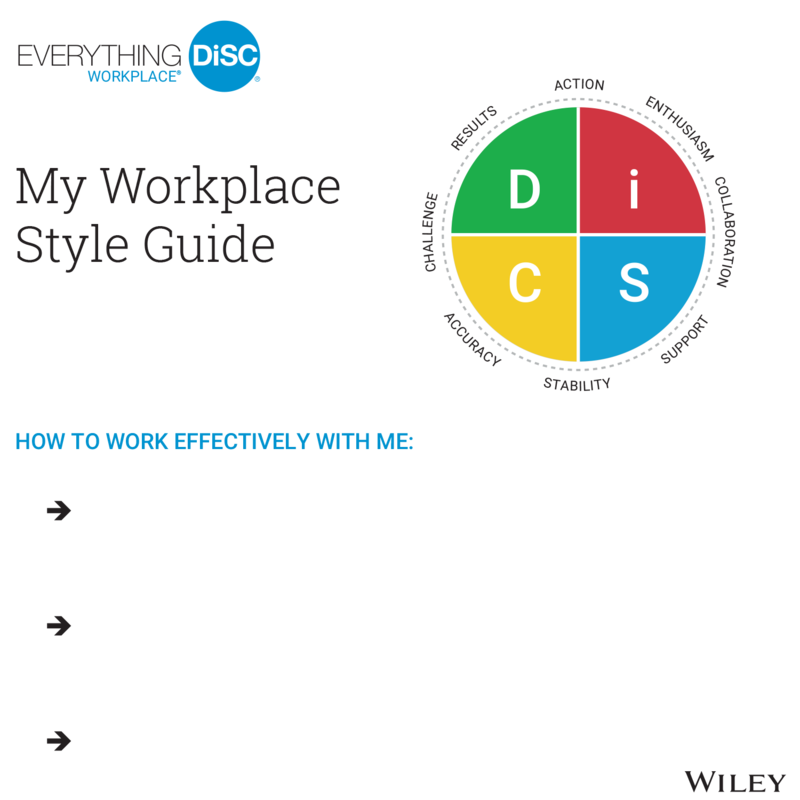 Everything DiSC® Workplace Guides are job aids that support the Everything DiSC Workplace training. Participants create their own Everything DiSC Map, indicating their DiSC style and list specific ways they prefer to be communicated with. Participants can display it in their workplace to create effective, productive working relationships. The Everything DiSC Workplace Guides are not meant to be used as a standalone product. Everything DiSC® Workplace is a registered trademark of Wiley. For detailed product description, please click here.